On cold winter days like today, all you want to do is wrap yourself in a blanket and eat flaky pastries and drink warm hot drinks to weather out the winter. Hibernation never seemed like a better idea at this point in the cold winter months that is Northern Alberta. It’s -40 with the windchill today. That is the type of weather that makes your nose hairs stick together when breathe, and your eyelashes freeze shut. *Sigh… Only 3 more months until spring! I used frozen summer blueberries for this recipe, just to make me feel a little better about the long winter. This recipe asked for grated frozen butter. What a good idea! Here’s all the grated butter. It looks like little white hairs! 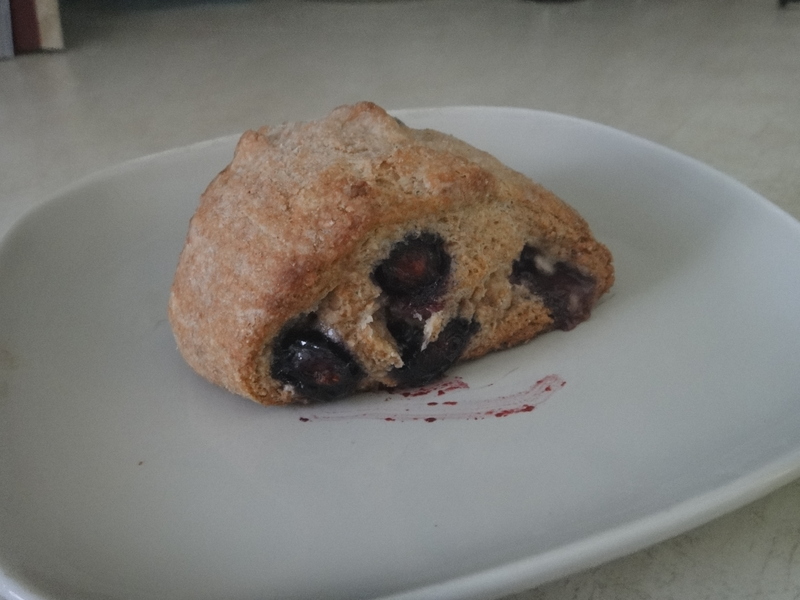 I Used Gold Forest Grain’s Spelt flour for this recipe. It was delicious! 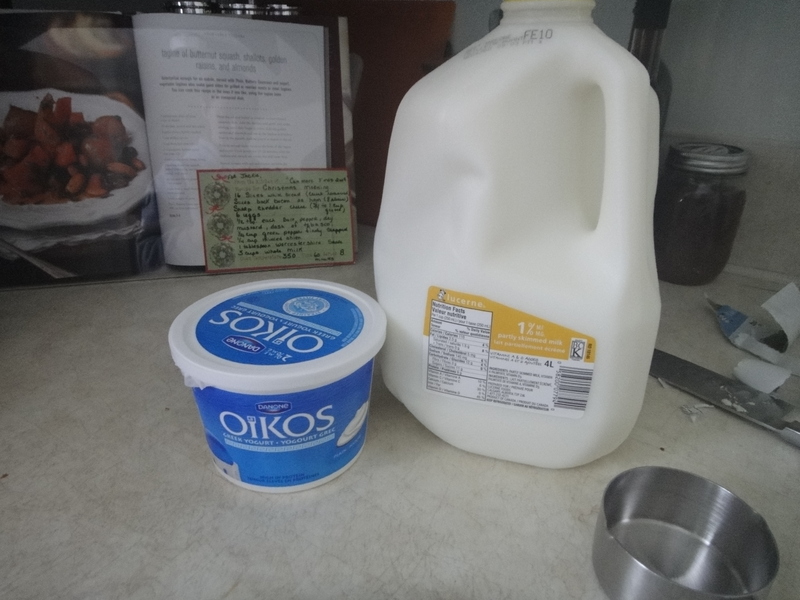 The recipe called for sour cream, but since I didn’t have any, I substituted Greek yogurt instead. Here are the liquid ingredients, mixed in! Tasty dough all ready to go. Now the tasty dough is all rolled out, ready for its filling! 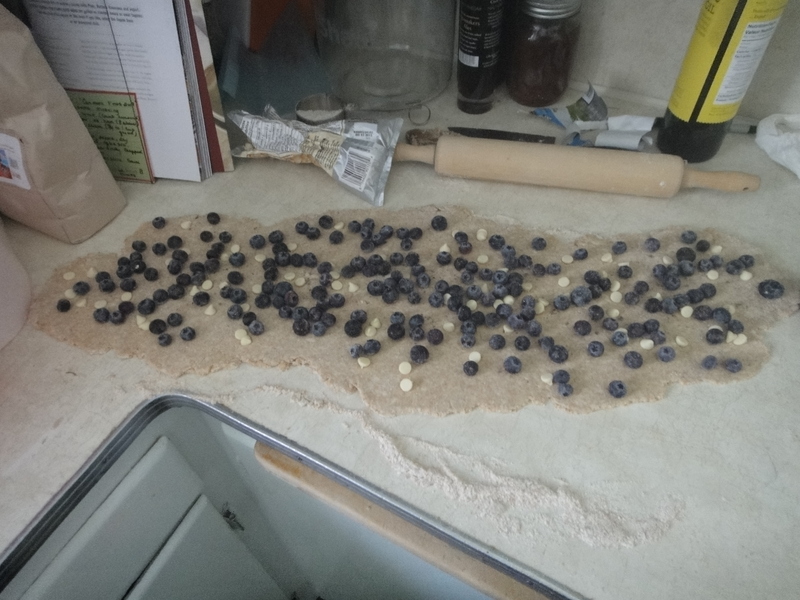 Sprinkle the blueberries and white chocolate all over the dough. And roll it up into a sausage roll. Pinch the ends to make sure that no chocolate or blueberries escape, and cut them up into little triangles. 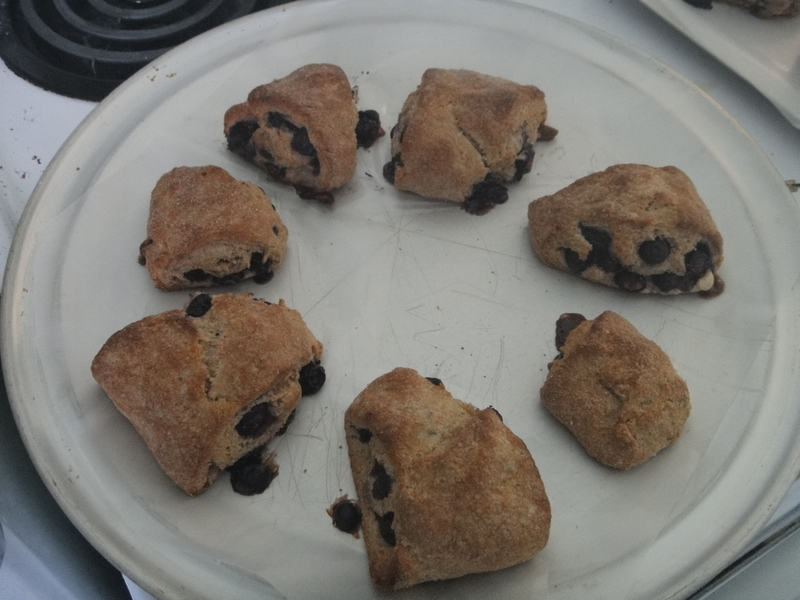 Place them on a baking sheet, lined with wax paper, and bake at 425 for 20-25 mins, or until golden brown. And enjoy the blueberry white chocolate goodness! 1. Adjust an oven rack to middle position and heat oven to 425 degrees. Line a baking sheet with parchment paper. 2. 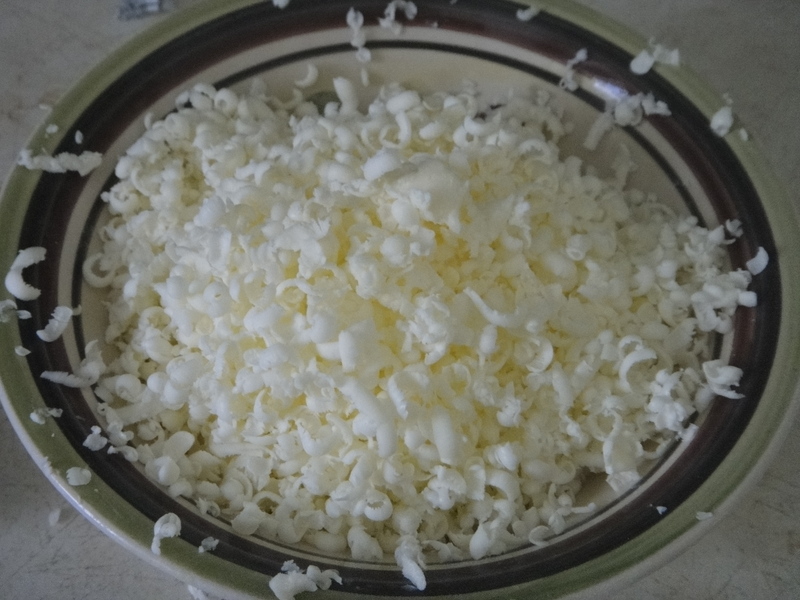 Score and remove half of the wrapper from frozen butter (the wrapper will protect your hands while grating). Grate the unwrapped ends on large holes of box grater. Place grated butter in freezer until needed. Place blueberries and white chocolate chips in freezer until needed.Whisk together milk and sour cream in medium bowl; refrigerate until needed. 3. 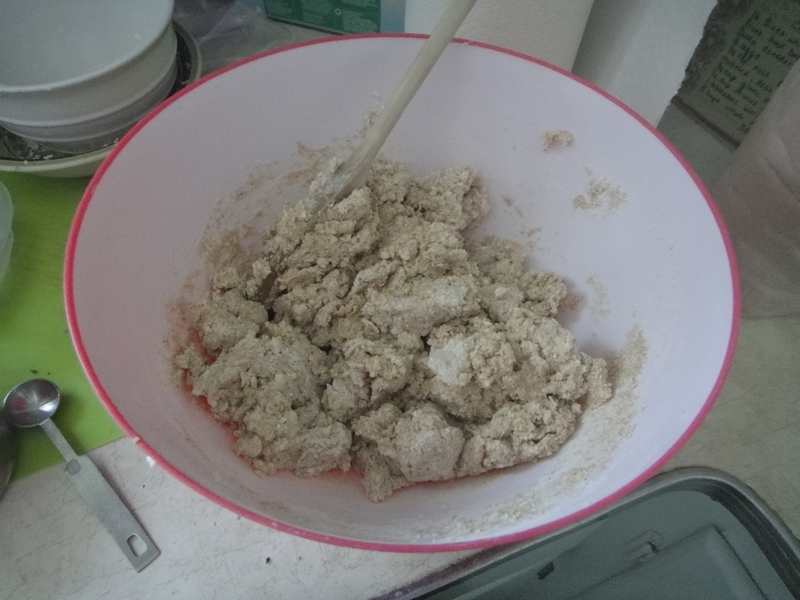 Whisk the flour, 1/2 cup sugar, baking powder, baking soda, salt in medium bowl. Add frozen grated butter to flour mixture and toss with fingers until thoroughly coated. Fold in the chilled milk mixture with a spatula until just combined (do not overmix). 4. Turn the dough and any floury bits onto a well floured work surface. 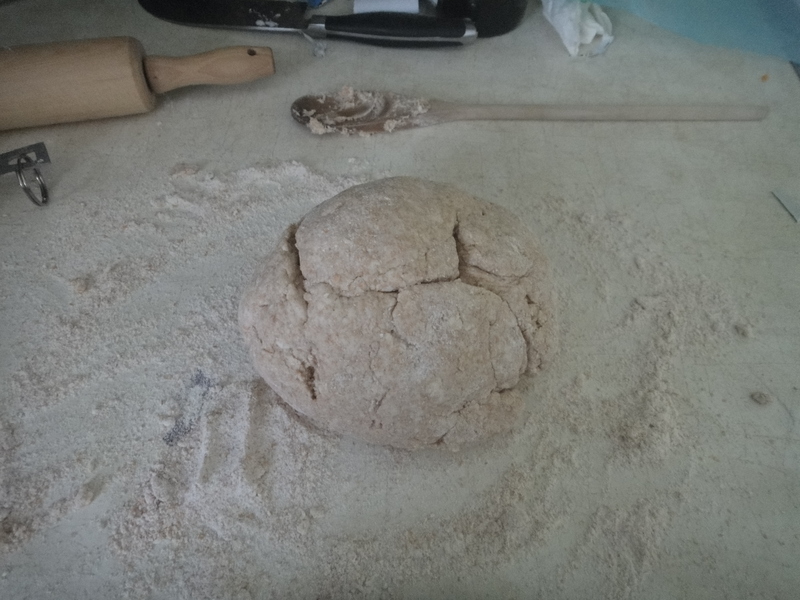 Lightly flour your hands and the dough and knead the dough gently 6-8 times until it just holds together in a ragged ball, adding additional flour as needed to prevent sticking. 5. 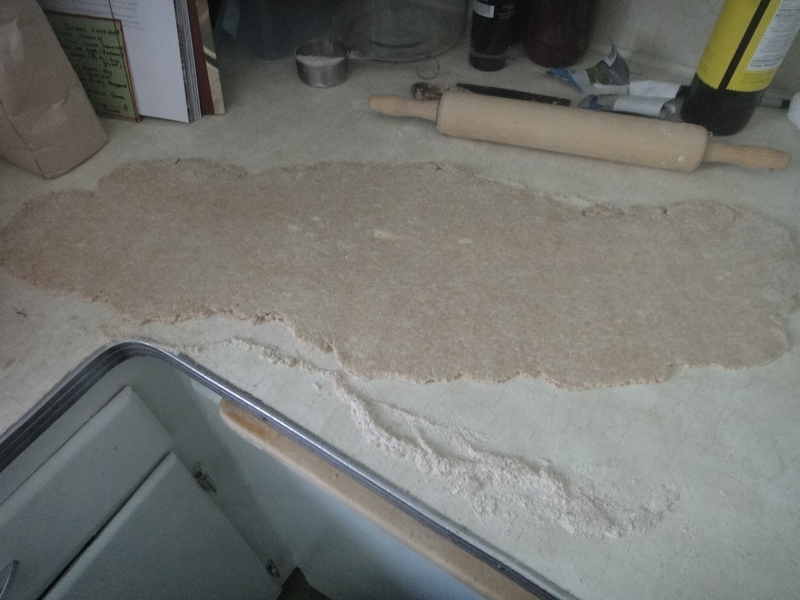 Transfer dough to floured work surface and roll into a long piece of dough. 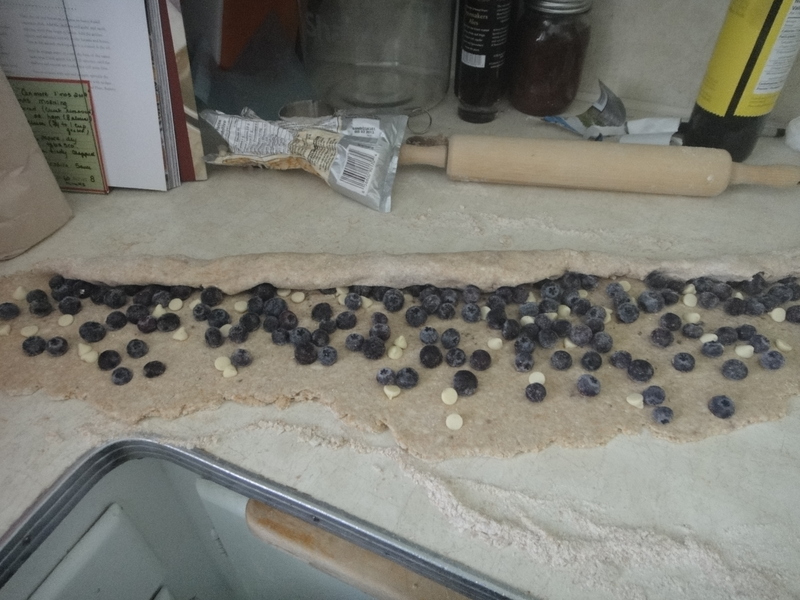 Sprinkle blueberries and white chocolate chips evenly over surface of dough, then press down so they are slightly embedded in dough. Using bench scraper or thin metal spatula, loosen dough from work surface. 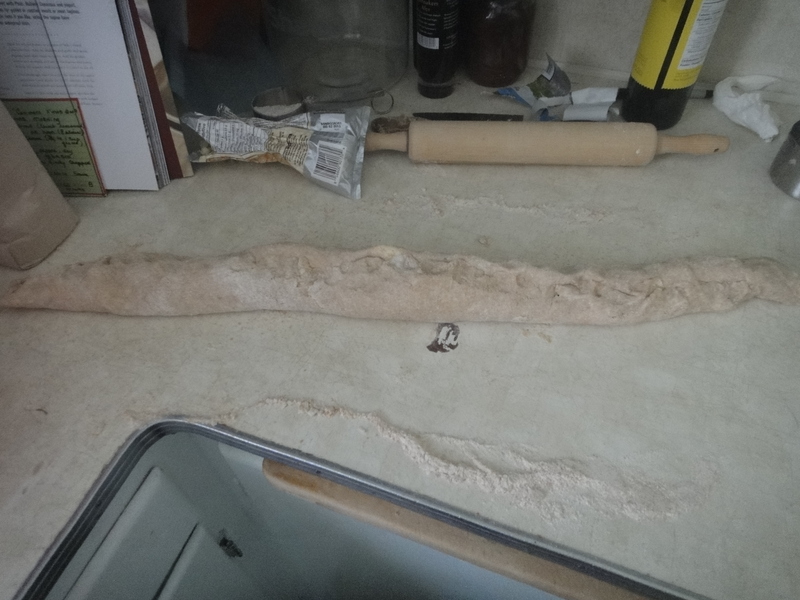 Roll up dough, pressing to form tight log, and pinch the seam closed. Lay seam-side down and press log into 12 by 4-inch rectangle. Using sharp, floured knife, cut rectangle crosswise into rectangles. Cut each rectangle diagonally to form triangles. 6. Transfer the scones to parchment-lined baking sheet. 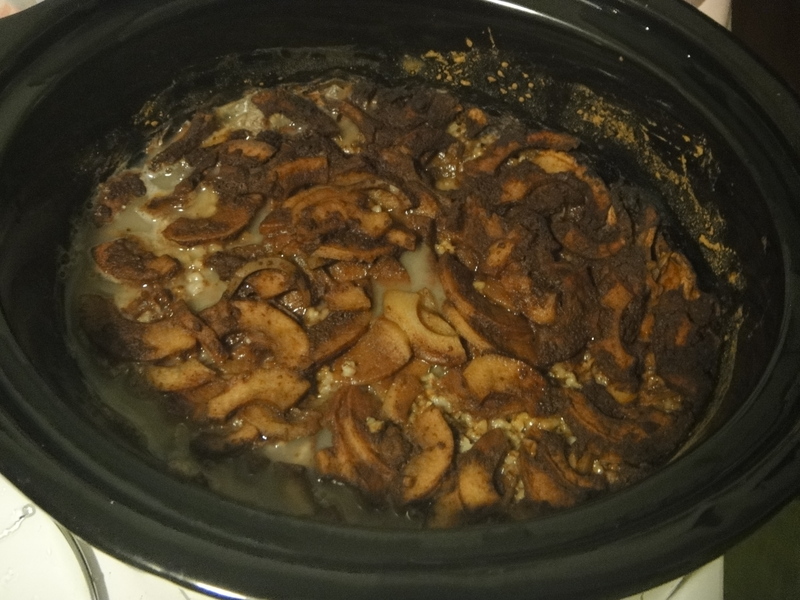 Bake until tops and bottoms are golden brown, 18 to 25 minutes, rotating the pan halfway through baking. Transfer to wire rack and let cool 10 minutes before serving. I love winter soups. Those hot, warm, stick to your ribs meals that warm you up from the inside out – those are the ones that keep me going till spring. This one is no exception. It’s a fantastic recipe! Dice up all the base ingredients and start to cook them down with the butter. Add the butter and cook it down some more to make a roux. I picked up a pack of hot smoked salmon when we were in Nelson this summer and hadn’t had a chance to use it yet. 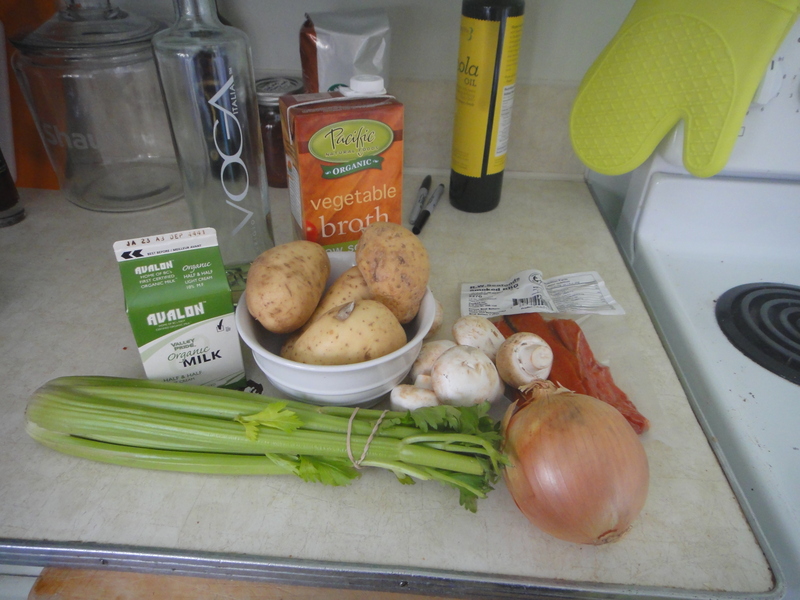 It was the perfect opportunity for this cold winter’s soup! Here’s the pretty pink stuff, all chopped up. Once the roux has sufficiently cooked down, add the chicken broth. Next, add the milk and potatoes. Let it bubble and boil until the potatoes are tender, but not mushy! Melt butter in a large pot. Dice veggies and add them. 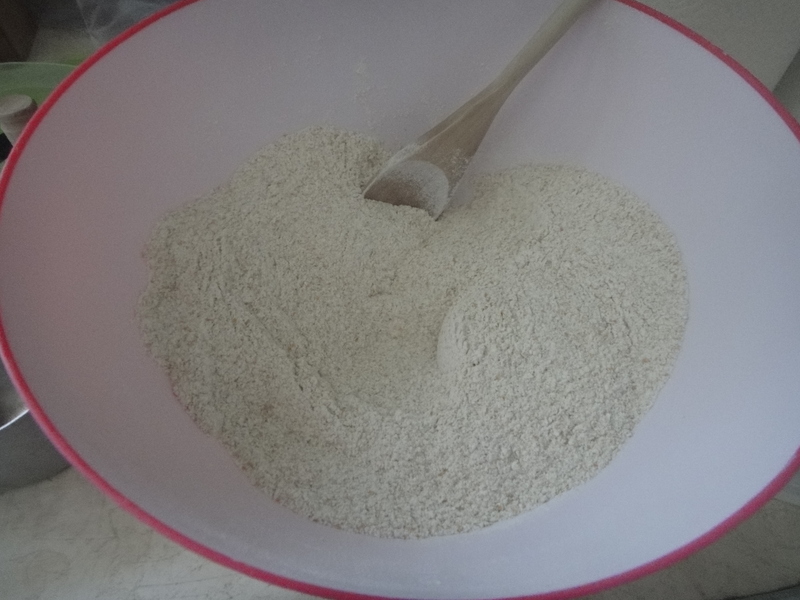 Add flour and cook down for at least five minutes, to form a roux. When roux is ready, add broth. Bring to a boil. Peel and dice potatoes, and add to pot. Add milk and boil until potatoes are soft. When potatoes are soft, add cream and salmon. Serve immediately. I had a customer at the Farmer’s Market tell me all about how she made steel cut oats in the crockpot that tasted just like apple pie. Well, I just had to try it. I used Gold Forest Grains Steel Cut Oats for this adventure. 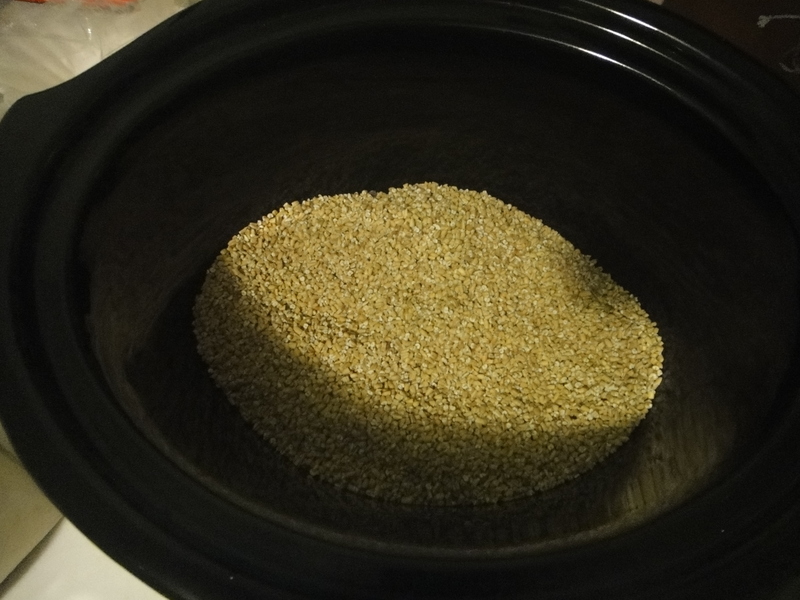 I used 2 cuts steel cut oats. I sprinkled on some cinnamon, and added the apple juice and water. I let it cook all night. In the morning, just sprinkle on some brown sugar and milk, and have at er! 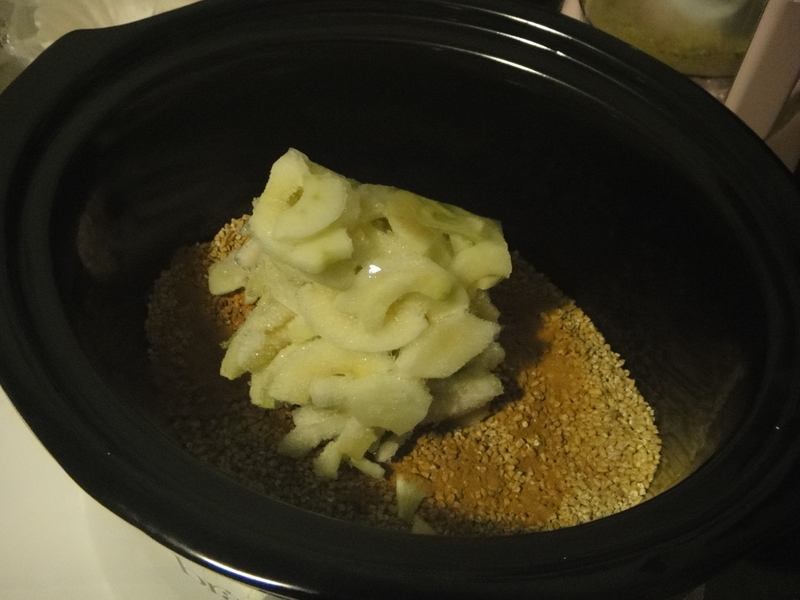 Add first 5 ingredients to crockpot at night. Turn on low. In the morning, serve and top with brown sugar and milk. Enjoy! Good Morning all! Life’s been busy since the start of the new school term. Justin’s gone back to work and I’m already being hit with homework – Sigh. January, you’re such a busy month. What’s more, we are looking into buying our first home! That’s right folks, The Garneau Home Kitchen may be re-locating to a new neighbourhood! I will keep you all posted on the progress as we move forward! 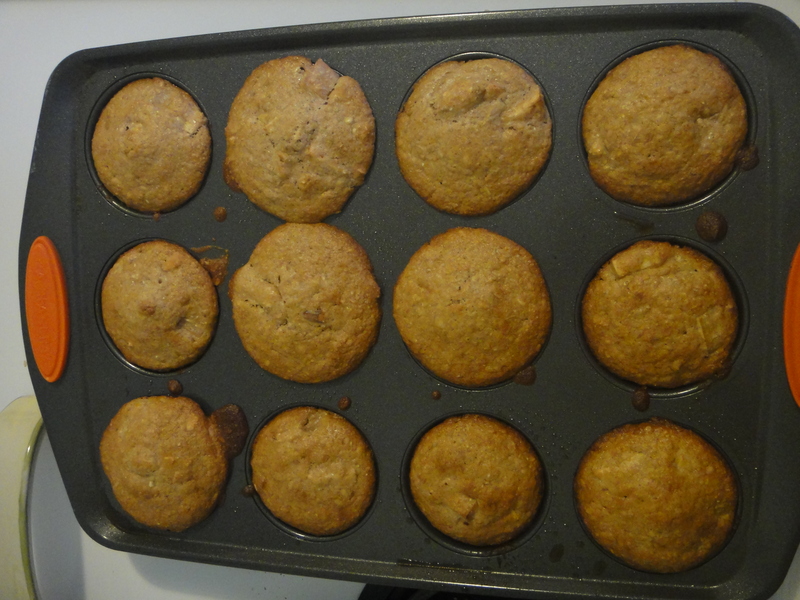 I decided it was high time I made muffins out of the sturgeon river cereal from Gold Forest Grains. 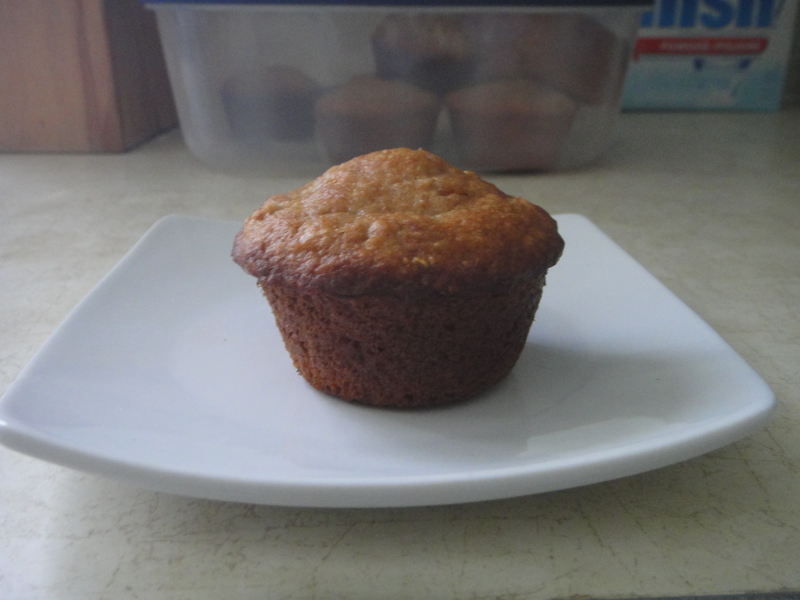 I’ve heard of Sunny Boy muffins before, and I figured these would be very similar and equally delicious. 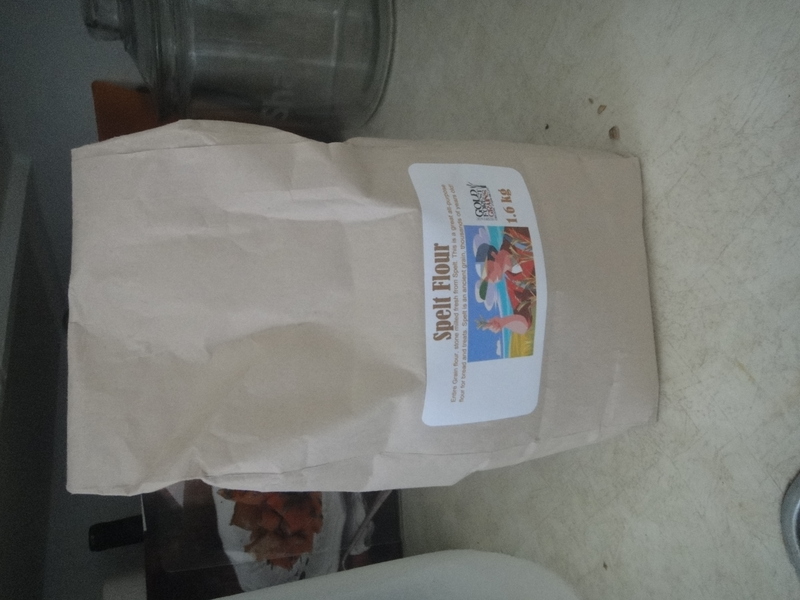 Here’s our smallest bag of sturgeon river cereal. Isn’t it cute? 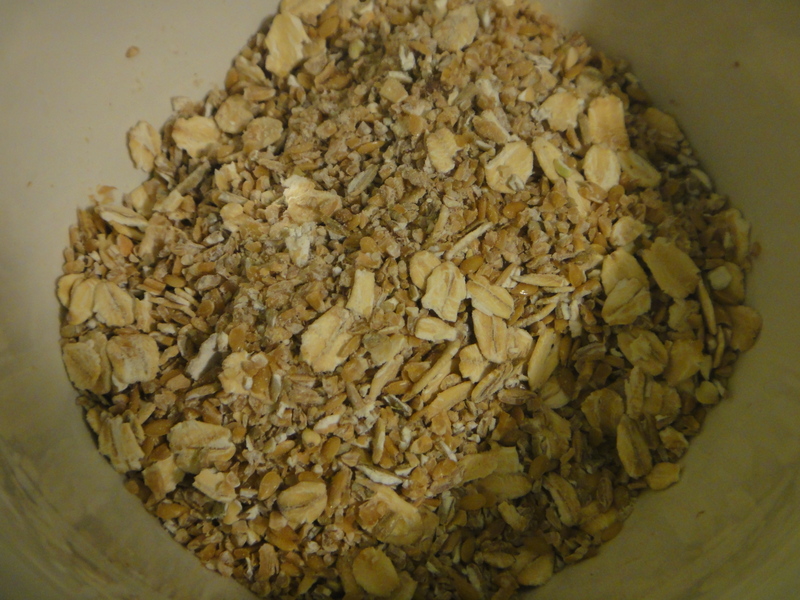 The cereal is made up of oats, buckwheat groats, cracked barley, flax and a combination of our flours. 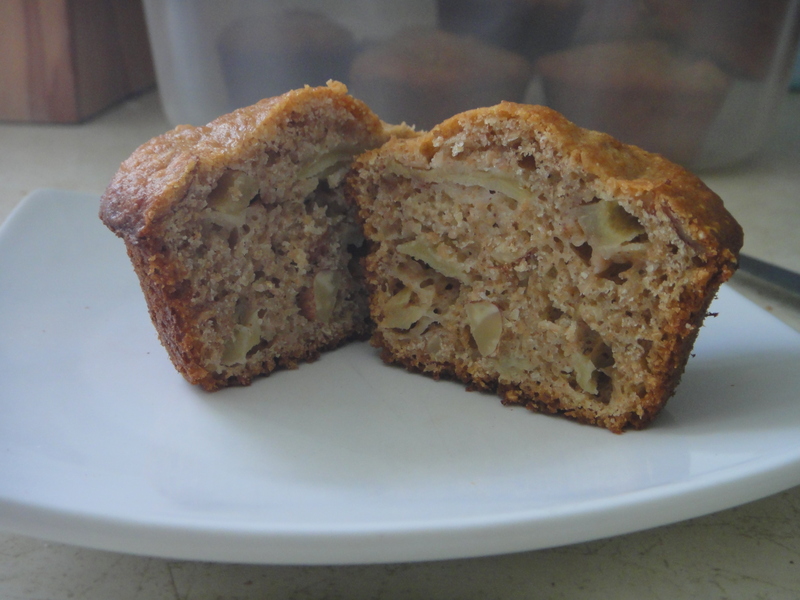 All around, it made for the perfect multi-grain base for a muffin. 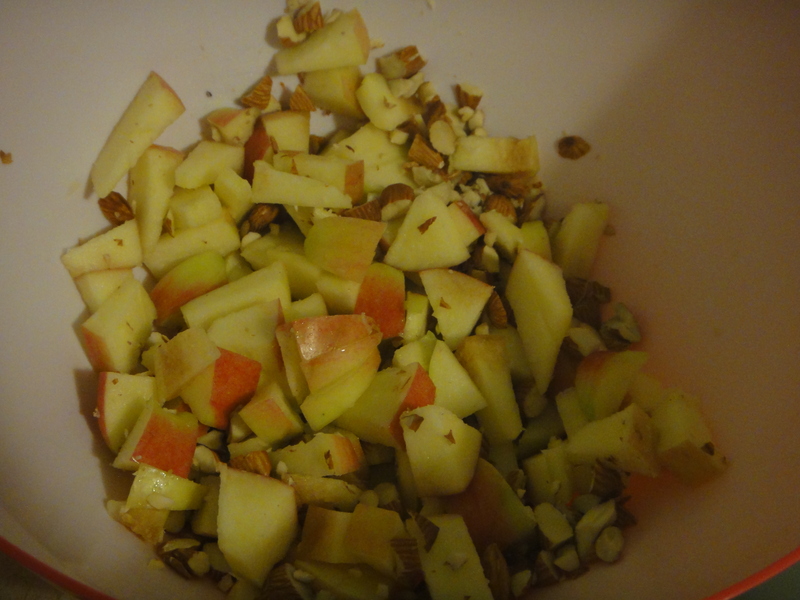 I decided to add an apple and some chopped almonds for even more texture! And then incorporated the wet. And baked them at 375 for about a half hour. They turned out pretty well, if I do say so myself. Look at all that multigrainy apple-y goodness! Preheat the oven to 375°C. 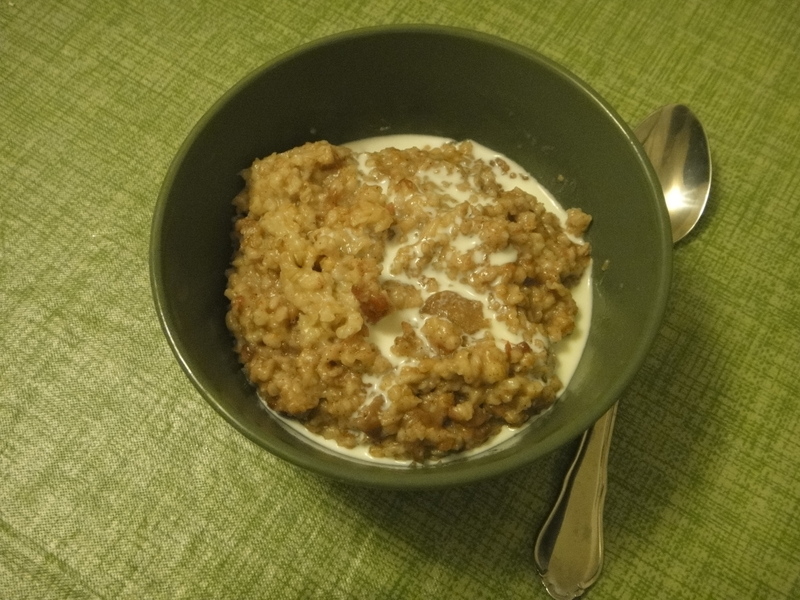 Soak the Sunny Boy Cereal in milk for 15 to 20 minutes, or overnight in the fridge for a softer texture. Dice the apple. Roughly chop the almonds. 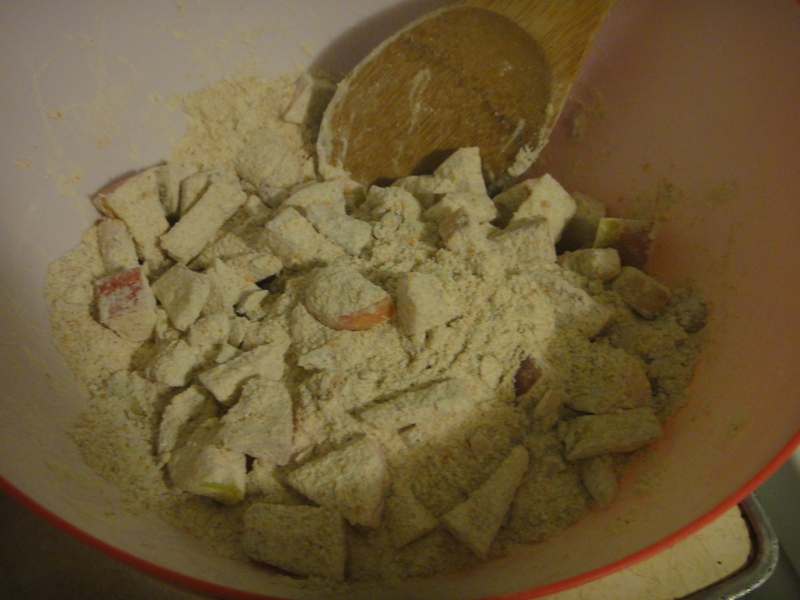 Combine apple with dry ingredients. Add wet ingredients. Mix well. 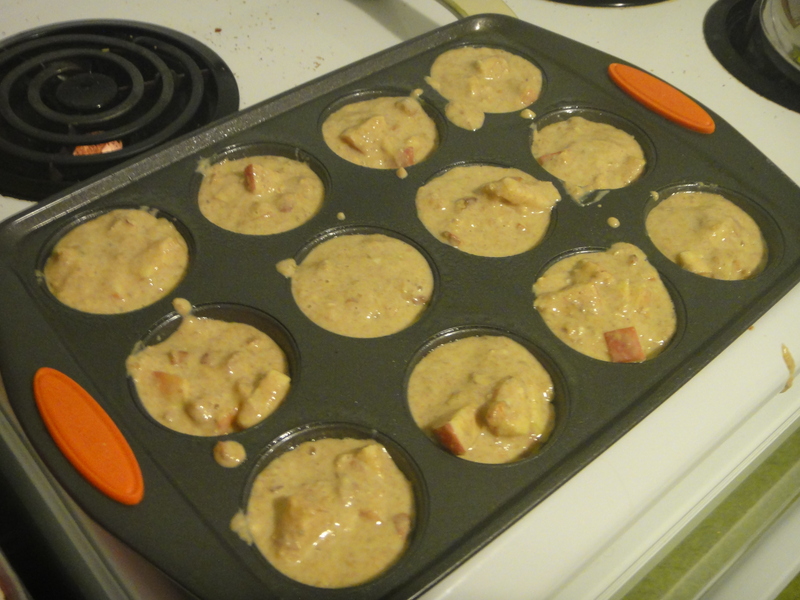 Add the batter into a greased or lined muffin tin and bake for 25 minutes at 375°F (190°C). Allow the muffins to cool, and then enjoy. Still having trouble getting rid of Christmas or New Years Turkey leftovers? Getting sick of turkey sandwiches? Boy, do I have a recipe for you! This recipe comes together in no time, and is super delicious. For the sauce, all you need is peanut butter, general tao or hoisin sauce, sweet thai chili sauce, soy sauce and some hot chili flakes. Shred the last of your leftover turkey. 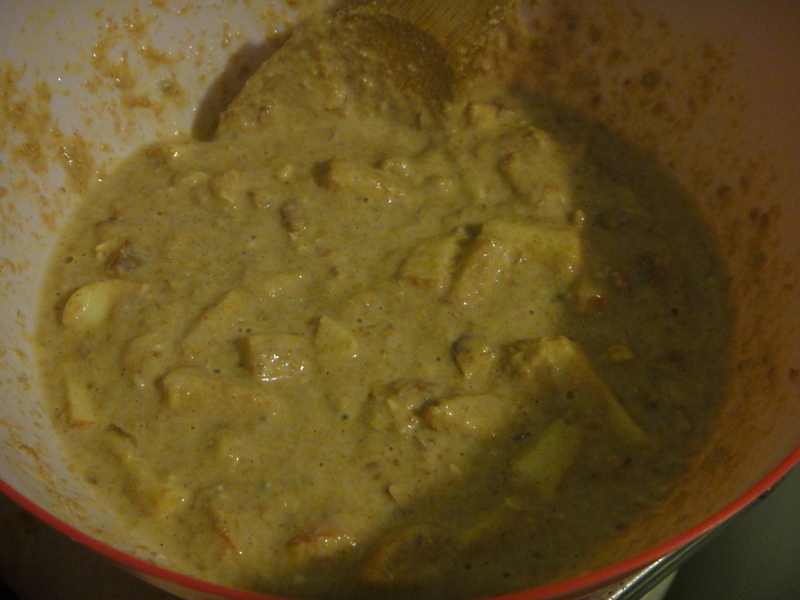 and mix in about a 1/2 cup of sweet thai chili sauce. Let sit in the fridge while you prepare the rest, so the sauce incorporates into the meat well. Next, make your sauce. Melt the peanut butter a little, so it’s easier to mix. Stir in the hoisin or general tao, sweet thai chili, soy sauce, and chili flakes. Prepare all your ingredients, by chopping, dicing and shredding cheese. I made my own flatbread for the pizza, using Gold Forest Grain‘s Red Fife Wheat. It was a perfect compliment to pizza, with it’s own spicy cinnamon and nutmeg flavours. Delicious! For my flatbread recipe, click here. Next, assemble your pizza. The turkey goes on first. Next, the sweet peppers ad onions. And of course, the cheese. I used aged cheddar and some Old Grizzly from Sylvan Star for this pizza! Here it is, all gooey and ready to eat! Make a lot, you’ll definitely want leftovers! Make flatbread. While the dough is rising, shred the turkey meat and combine with half of the sweet thai chili sauce. Set aside in the fridge. 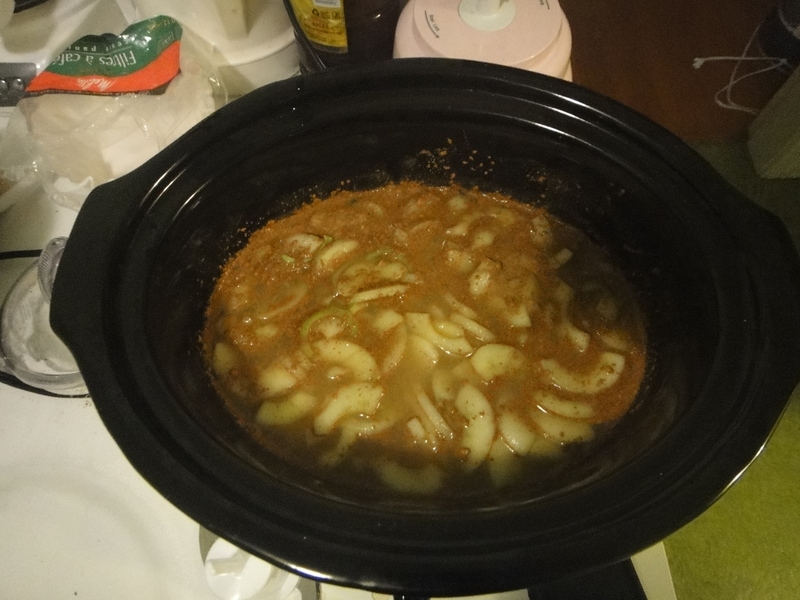 Next, prepare pizza sauce, by heating the peanut butter for 15 seconds in the microwave, and combining the remainder of the liquid ingredients and the hot chili flakes. Set aside. Preheat oven to 375. Dice pepper and onion. Shred cheese. Once flatbread has risen to double it’s original size, roll out onto a lightly floured surface. Cook in a pan briefly, and begin to assemble your pizza. First, apply sauce, next turkey, next peppers and onions, and cheese. Bake at 375 for about 20-25 mins, until the cheese begins to bubble and turn brown. Enjoy!